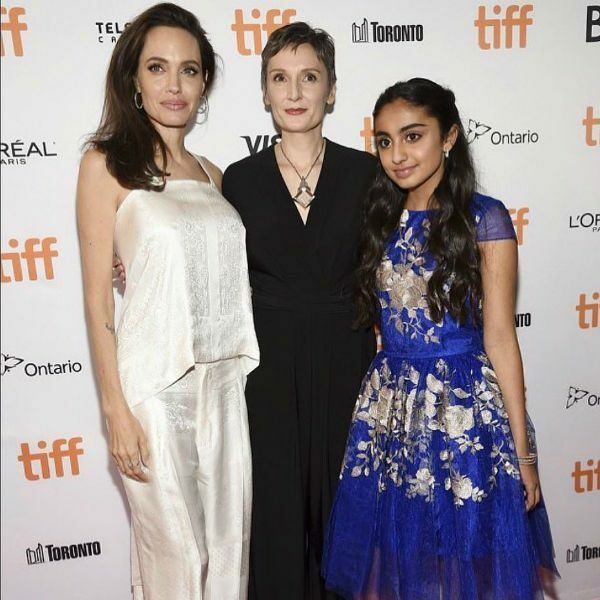 Actress Saara Chaudry was spotted on the red carpet with Angelena Jolie & Nora Twomey wearing this gorgeous David Charles Blue Gold Sapphire Dress at the Toronto International Film Festival on September 10, 2017. 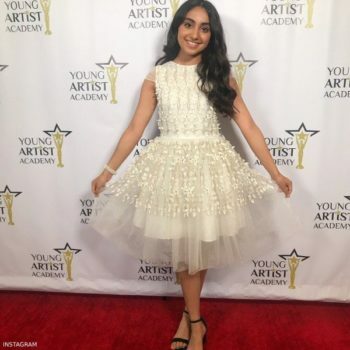 Recognized for her role in The Breadwinner Movie, Saara Chaudry looked gorgeous wearing this beautiful tulle dress by David Charles. Designed in a rich sapphire blue with elaborate golden flower embroidery. 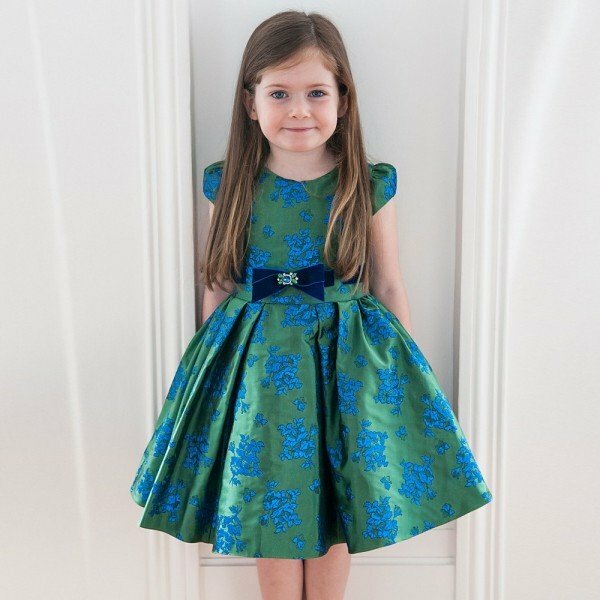 Perfect for making a dramatic entrance, your little princess will feel like a million dollars in this beautiful dress with a gathered skirt, layered in silky polyester and tulle and pretty, see-through capped sleeves.